These matching disney inspired vacations shirts make a great way to announce a Disney Vacation trip. They work for both him and her, or matching couple shirts. 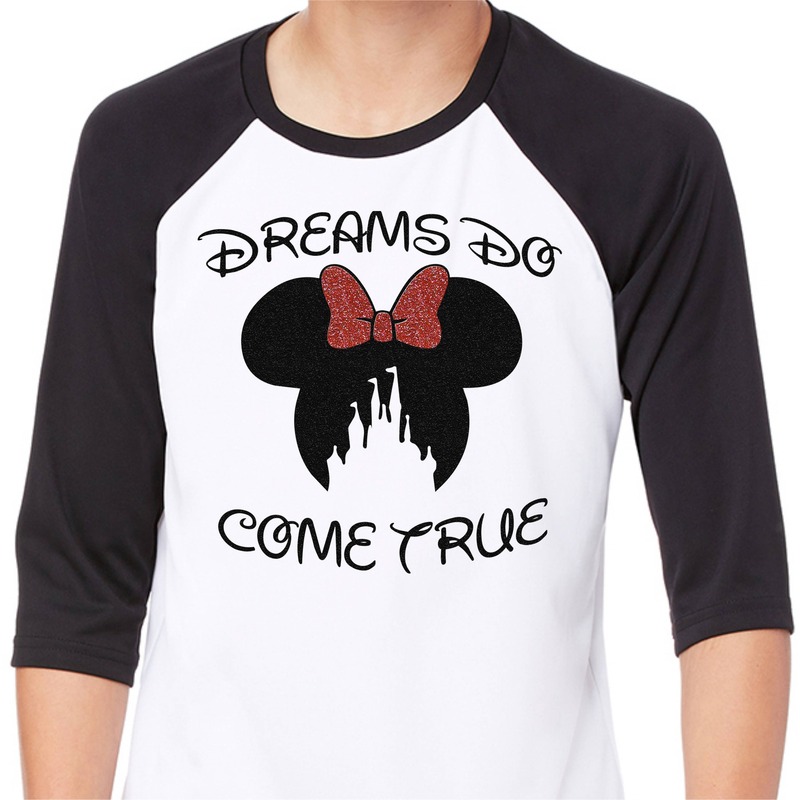 We also have 3/4 sleeve shirts for cooler days or a magical Disney Cruises. These also make a great portrait with the castle in the background. We have both a Mickey inspired design for him and a Minnie full glitter design for her. The glitter does not fall off like many other glitters. Please choose your shirt size and design color. All Minnie design are full glitter. If you have nay other question please send us a message.